If you grew up in Pittsburgh, you might be familiar with the mandatory six-hour long car ride for any weekend excursion worth making. And forget about a day trip to the ocean, that’s going to eat up eight hours out of your day! Living in Southern Illinois is no picnic either, unless you just want to have a picnic. Weekend road trips are almost nonexistent with the lack of surrounding attractions and the distance to each possible trip. This may be the reality for many cities across the country, but not for Vegas residents! There are countless adventures right in our backyard. Las Vegas offers easy access to road trips for a variety of locations, climates, and natural wonders. So grab your map, pack up the car, and just go! Enjoy our list of some of the best weekend getaways surrounding Las Vegas. The first destination on our road trip map is Valley of Fire State Park, located in the Mojave Desert in Overton, NV. Valley of Fire represents some of the best landmarks Nevada has to offer, equipped with unique land and natural history. The park is known for its 40,000 acres of red rock Aztec sandstone and ancient 2,000-year-old trees, which make for the ultimate hiking and history experience. Since the park is open year-round, it offers plenty of time for visitors to experience a picnic in the desert, hike the numerous trails, and even learn a little more about the history and geology at the visitor center exhibit. The park gets its unique name because if the sun hits the sandstone formations just right, they appear to be on fire! If you’re looking for an overall scenery change, Zion National Park is the best day trip for you! Well-known as Utah’s first National Park, Zion is the best getaway for those looking for hiking, camping, history, and much more! The history of Zion’s land makes it one of the most sought-after destinations from Vegas. Over 12,000 years ago, the first people in Zion tracked mammoths, giant sloths, and camels across the area. So, pack up your car and head to Utah to experience the many attractions Zion has to offer! Red Rock Canyon is just a few miles west of Las Vegas and encompasses nearly 196,000 acres of the Mojave Desert. There’s something for everyone at this weekend getaway, as the area has indoor and outdoor exhibits, a 13-mile scenic drive, hikes, rock climbing, and much more. And the backdrop for all your adventures is the stunning aztec red rock, which surrounds the whole valley. The park has all kinds of specials going on, so check their website before your next visit to know what to expect! Want to get out of the desert heat? Head to Mount Charleston, one of Nevada’s most beautiful mountains. This national recreation area is less than an hour from the Las Vegas Strip, and 20 degrees cooler. During the warmer spring and summer months explore the areas many trails and enjoy a picnic lunch with spectacular views. Or during the winter months, make it a weekend trip at one of many cabins or lodges available for rent. For adventure seekers you’ll find skiing and snowshoeing and for those who want to relax, the rustic charm of the area is a perfect escape. Looking for a quick spring or summer day trip? Our final road trip recommendation is the town of Pahrump, located just west of your Las Vegas home. This Nevada town may be small in population (37,000 to be exact) but it is large in activities and adventure. Local attractions include two wineries (the only wineries in Southern Nevada), golfing, biking, hiking, and lake activities such as water powered jetpacks! So, if you’re looking for a road trip to get away from the desert but still remain on Nevada soil, then Pahrump is your home away from home. No matter what kind of road trip you’re looking for, living in Las Vegas allows you to experience it all. And you don’t have to limit yourself to just one roadtrip a year! 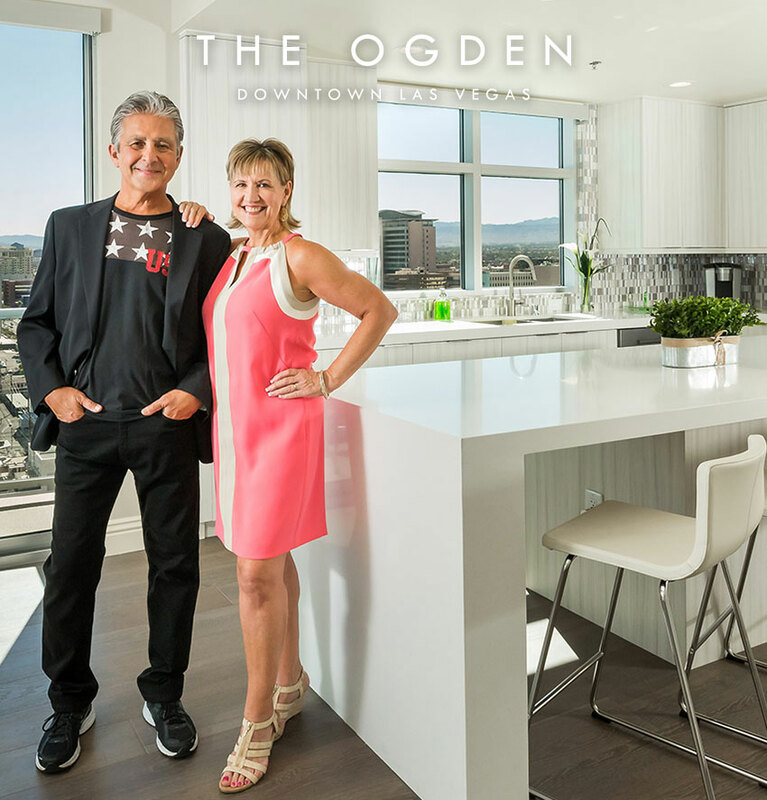 Every weekend is a chance to make an adventure, so get out there and explore the many wonders that surround your home at The Ogden.